Arguably the greatest Spanish wine vintage of the 1990s and some growers and commentators even went so far as to describe it as the vintage of the century. Spain enjoyed its hottest and driest summer since 1982, with temperatures often exceeding 40 degrees celcius. Some vines just could not cope with the heat and ceased to grow, resulting in lower than normal yields. In Rioja the scorchingly hot summer was followed by welcome light rains in September. The harvest commenced 15 days earlier than usual and the grapes were marvellously ripe, with a perfect balance between fruit and acidity. Consequently the wines are full bodied and powerful yet very fragrant and completely harmonious. In Ribera del Duero yields were down by as much as 50% in some cases due to the excessive summer heat. 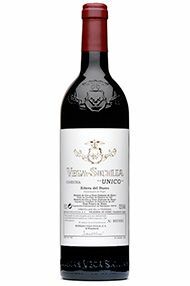 However, what was lost in quantity was made up by the quality of the wines which, in the words of Pesquera's Alejandro Fernandez, was extraordinary.